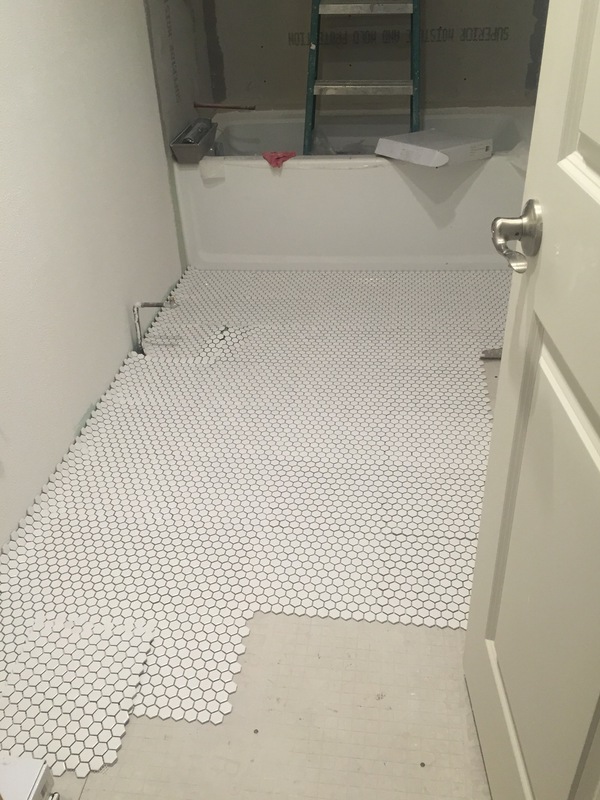 Bathroom Renovation - Part Two: Tile! So I assumed that once the demo was completed and we were starting to lay out exact plans that it would seem a little more real. It wasn't the case. BUT, once we started laying the tile, things just looked so perfect. Definitely what I wanted and expected. I knew very early on that White Subway tiles were an absolute must in the shower - so for the floors I had to choose something that wouldn't distract from the perfection that is subway tile but also something that looked great itself and was practically self-cleaning. The latter doesn't exist, but easy to clean was good enough for me. Because let's be honest. I've got two kids under 3. And I'd like to add more to our crew. But Momma's gotta clean. And it better not take all day. I digress. TILE! 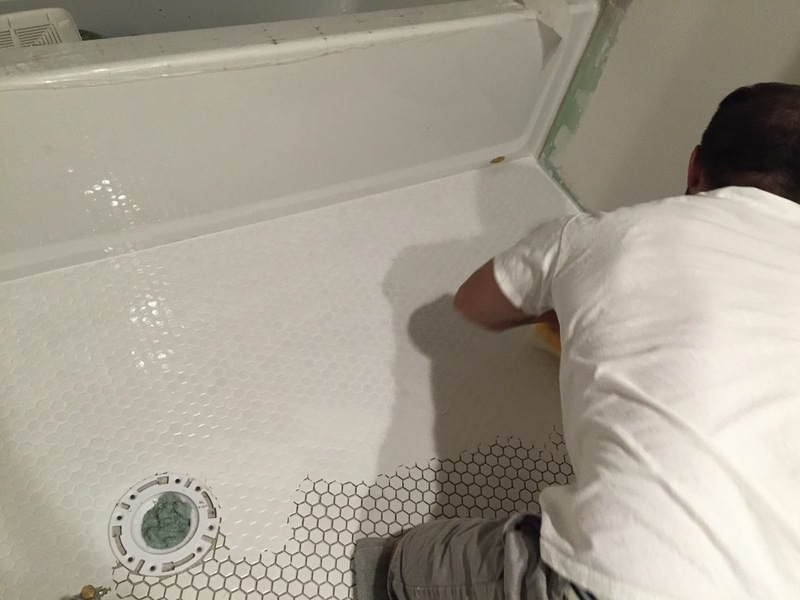 We chose a 1/4 inch thick white ceramic hexagon tile with a white grout. Side bar- My take on Cape Cod design is a little more clean than the 'average' Cape home - hence the white everything. Remind me to tell you about my capsule wardrobe. I have issues (obsessions) with basics. That's all for now. Stay tuned for more bathroom updates.